Mindfulness has emerged as an important focus of several empirically supported treatments. 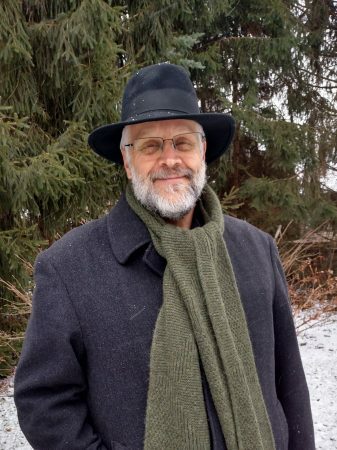 The roots of Mindfulness stem from the contemplative practices common to both Eastern and Western spiritual disciplines and the emerging scientific knowledge about the benefits of “allowing” experiences rather than suppressing or avoiding them. Both Eastern and Western psychologies, as well as spiritual practices, are converging on these same insights. The first two days of this training will be both didactic and experiential, consisting of practice and discussion of various mindfulness exercises and practices (both in and outside of the workshop). Day three will be devoted to extended mindfulness practice giving participants a full day of silent practice experience. The mindfulness skills illustrated in this workshop come from Dialectical Behavior Therapy (DBT®), an empirically supported treatment for individuals with difficulties regulating emotions and impulsive behavior. 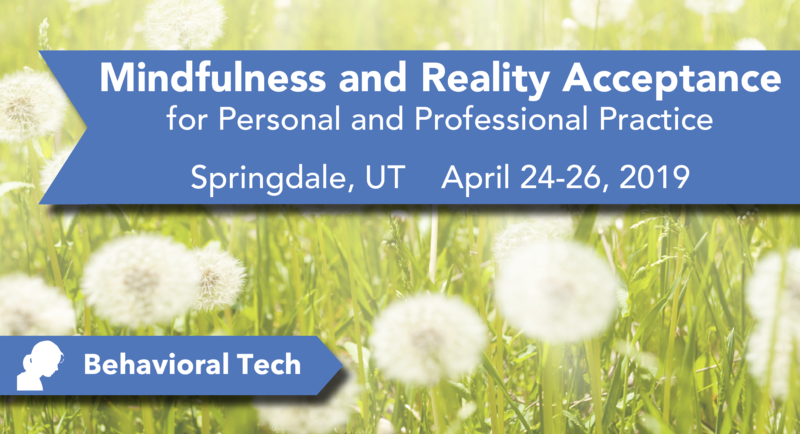 Participants learn mindfulness skills to use in their own practice and with clients, as well as strategies for integrating these skills into clinical practice. This workshop is intended for people interested in developing a personal mindfulness practice or the use of mindfulness in psychotherapy, regardless of their specific approach to treatment. As a result of this training participants will be able to use mindfulness skills. Describe the origins of Zen Mindfulness in the development of DBT. List at least three benefits of mindfulness practice for treatment providers. Describe the integration of mindfulness in behavior therapy approaches. Describe the three States of Mind and how to access Wise Mind. Define and describe the three “What” skills (Observe, Describe, and Participate). Define and describe the three “How” skills (Non-judgmentally, One-Mindfully, and Effectively). Describe Radical Acceptance and Willingness and their relationship to Mindfulness practice. Talk with clients about spirituality. CEU’s will only be issued for Day 1 and Day 2 of this training. There is no CE offered during the silent practice on Day 3. Your lunch is included with the cost of the training. Please tell us if you have any dietary restictions. I have no restrictions. I would prefer a vegan or vegetarian meal. I would prefer a gluten free meal. I would prefer a dairy free meal. Behavioral Tech, LLC is not responsible for any presenter’s or participant’s statements, acts, materials or omissions. The use of audio or video taping devices is not permitted at any training. We reserve the right to cancel the training or to change the speakers and content at our sole discretion. Registration fees, minus a $50 service charge, will be refunded to participants who send a written cancellation via mail to Behavioral Tech or via email to info@behavioraltech.org postmarked no less than 15 days before the training. No refunds will be made thereafter. A colleague may be substituted for no extra charge if Behavioral Tech, LLC is notified at least two business days before the training. For a complete list of Behavioral Tech policies, including how to address grievances, see policies. Co-hosted by Sunrise Residential Treatment Centers. This gorgeous location is near the entrance to Zion National Park. Our co-host has reserved a room block for training participants at the Hampton Inn & Suites Springdale / Zion National Park. To make your reservation, please call the hotel at (435) 627-9191 and reference the guest code “RTC”. If you plan to fly, there are many direct commercial flights into McCarran International Airport in Las Vegas (LAS). Springdale is about 150 miles (2.5 hour drive) from Las Vegas. There are also commercial flights into regional airports in St. George (SGU) and Cedar City (CDC) Utah. Both airports are about a one hour drive from the training site. If you prefer not to drive, there is also shuttle service that runs regularly between Las Vegas, St. George, and Springdale. This offering meets the requirements for the following hours by discipline. Licensing and continuing education requirements vary by state. Please contact your state’s regulatory authority to verify if this course meets your licensing or continuing education requirements. Inquiries regarding CE for other disciplines not listed may be directed to Behavioral Tech at 206.675.8589 or via email to info@behavioraltech.org. Behavioral Tech will apply to the NAADAC – the Association for Addiction Professionals, Provider #77431. You will receive a letter via email documenting your attendance upon successful completion of the activity. The allotted contact hours for this activity = 14. Behavioral Tech is approved by a NBCC-Approved Continuing Education Provider (ACEP™) and may offer NBCC-approved clock hours for events that meet NBCC requirements. The ACEP solely is responsible for all aspects of the program. Behavioral Tech will email you a letter documenting your attendance upon successful completion of the activity. The allocated clock hours for this activity = 14. Behavioral Tech is accredited by the Accreditation Council for Continuing Medical Education to provide continuing medical education for physicians. Nurses should only claim credit commensurate with the extent of their participation in the activity. Continuing Medical Education is accepted by the ANCC for nursing certification renewal. The maximum AMA PRA Category 1 Credits™ designated by Behavioral Tech for this activity = 14. Behavioral Tech is accredited by the Accreditation Council for Continuing Medical Education to provide continuing medical education for physicians. Physicians should only claim credit commensurate with the extent of their participation in the activity. The maximum AMA PRA Category 1 Credits™ designated by Behavioral Tech for this activity = 14. Behavioral Tech is approved by the American Psychological Association to offer continuing education for psychologists. Behavioral Tech maintains responsibility for the program and its content. Behavioral Tech will email you a letter documenting your attendance after successful completion of the program and homework. The number of hours Behavioral Tech has allocated within APA guidelines = 14. Behavioral Tech will apply to the NASW, Washington State Chapter, Provider Number 1975-166, to offer continuing education for Certified Social Workers. Behavioral Tech will email a certificate of attendance upon 100% completion of this activity. The hours of CE allocated for this activity = 14. Behavioral Tech will apply to the NASW, Utah State Chapter, to offer continuing education for Certified Social Workers. Behavioral Tech will email a certificate of attendance upon 100% completion of this activity. The hours of CE allocated for this activity = 14.